In Los Angeles, you’ll find the Sunset Strip; in Miami, Ocean Drive, or the Main Strip; in Vegas, the infamous Las Vegas Strip, and in San Antonio, we have our beloved St. Mary’s Strip — nearly a mile’s worth of bars where both locals and tourists go for a good time. 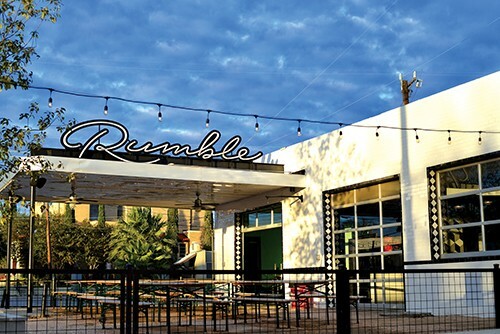 On any weekend, you’ll find girls wobbling up and down the street in heels, guys making drunken fools of themselves and other glorious sights one can only find on St. Mary’s, which is why Rumble takes this year’s cake for best place to people watch. Grab yourself a drink and a seat on the bar’s patio on a Saturday night then sit back as groups of bachelorette parties, bro packs and out-of-towners make their way from one bar to the next. We guarantee you’re in for a treat.